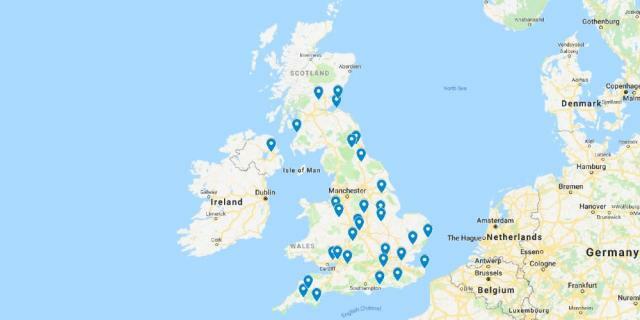 Located in Little Horsted, East Sussex, the National possesses two courses and 104 comfortable rooms available within its 4* hotel, with additional leisure and dining facilities only adding to the experience. 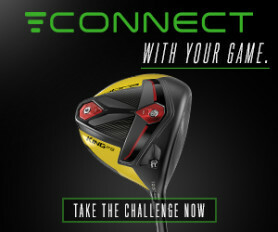 This is a firm favourite with golfers visiting Warwickshire, a venue with two excellent courses - including the revered former British Masters host - but the hotel itself is an attraction due to the well-serviced and maintained rooms, 214 of them in total, which provide superb accommodation within idyllic surrounds. 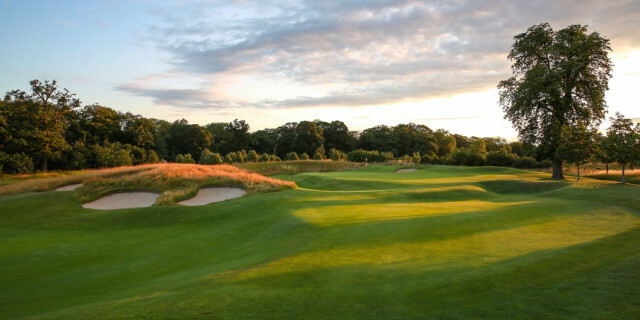 The historic Manor House (dating from the 14th century) that makes up the St Pierre Marriott Hotel & Country Hotel includes 132 modern furnished guest rooms that boast spectacular vistas across the golf course and lakes of this striking Welsh venue, known for its Old Course, formerly a Solheim Cup host. The Stoke by Nayland Hotel, Golf & Spa is located in 300 acres of beautiful, undulating Constable Country, on the fringes of the Dedham Vale. The Essex venue possesses 80 varied and comfortable rooms, which are the perfect respite to playing the two regarded parkland layouts onsite. Turnberry is among the most iconic resorts in the British Isles, famously a host of several Open Championships, perhaps best known for the 1977 ‘Duel in the Sun’ between Tom Watson and Jack Nicklaus. 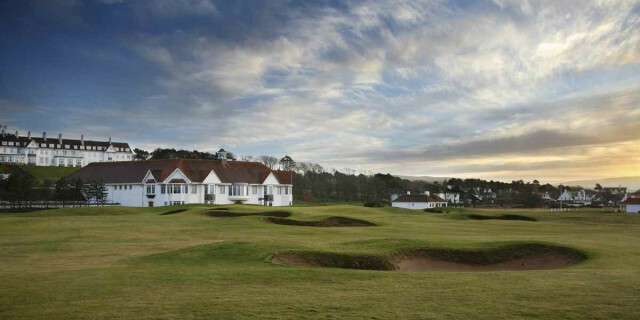 Enjoying a significant refurbishment in recent years, the Ayrshire venue is picturesque and luxurious, delivering a high-end experience for golfers who want the chance to sample lavish hospitality. 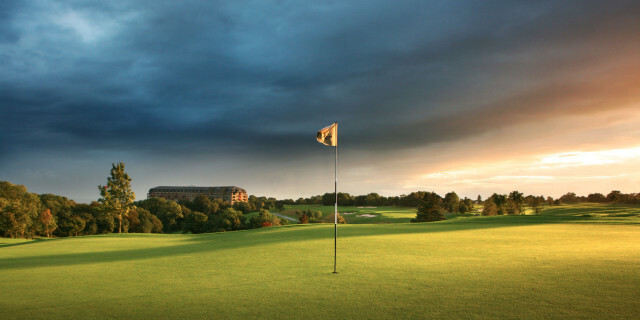 Surrounded by 475 acres of beautiful Lincolnshire countryside, Belton Woods is an idyllic and popular two golf course resort, featuring 132 magnificent bedrooms and four luxury suites. Gem of Derbyshire on the fringes of the Peak District, the 4* Breadsall Priory introduces modern fitting to a stunning grade II listed building that dates back to 1260, complimenting the two respected courses with comfortable accommodation. Three miles north of Chichester in West Sussex, Goodwood Hotel offers 4* luxury and all the amenities you could hope for, including 91 modern and comfortable bedrooms, some of which are terraced, providing the ideal base for a golf break. 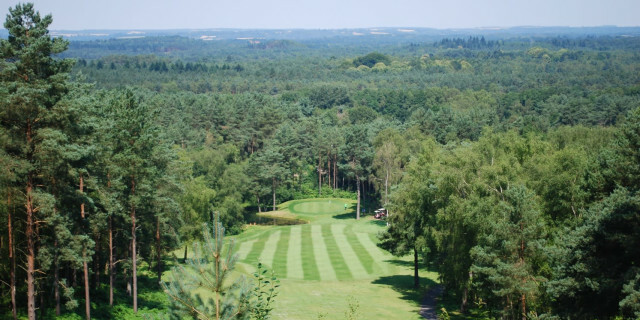 Known for its spacious and comfortable accommodation, Greetham Valley is an excellent venue in the East Midlands, with two 18-hole courses and a wide variety of room types to choose from. 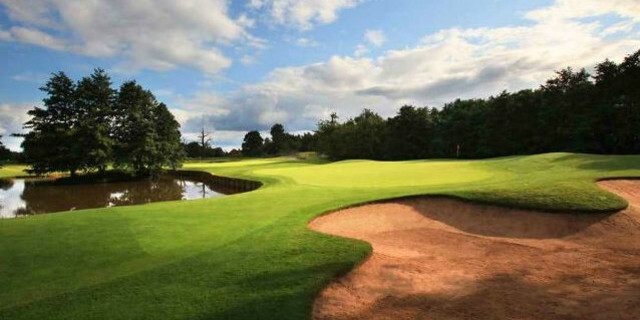 Noted for being the home course of golf legend Sandy Lyle, Hawkstone Park has two courses that benefit from excellent accommodation options, including 66 extensively refurbished bedrooms. 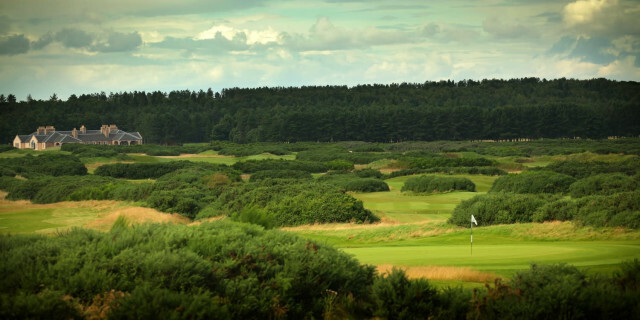 Archerfield Links has two superb golf courses along the revered East Lothian coastline and a range of exclusive accommodation that makes this a rare experience for golfers. The Ashbury Golf Hotel is set at the foothills of Dartmoor National Park and is a huge resort that contains 99 holes to play. It’s a paradise for golfers and the facilities have been celebrated by many. The Dartmouth Hotel Golf & Spa offers 3* accommodation in the form of 35 fabulous bedrooms, linked to the clubhouse with panoramic views of both golf courses and the surrounding countryside. 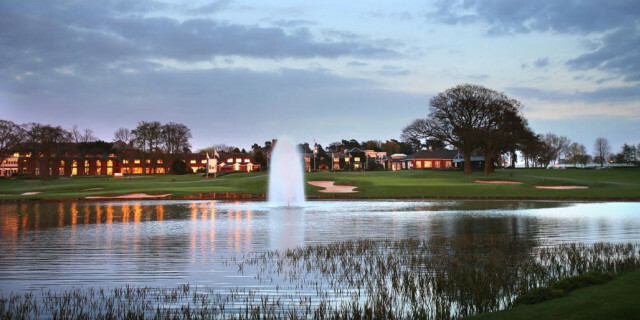 Headlined by a revered golf course, Forest Pines has much to offer when it comes to a break in Lincolnshire, including 188 bedrooms that provide luxury, comfort and modern amenities, ensuring that this is an essential inclusion to anyone's must visit list. There are 48 individually styled bedrooms across this historic building in Wiltshire, each delivering a memorable, relaxed stay with a little golf thrown in. Known for hosting a World Golf Championship and British Masters, the Kyle Phillips designed course is a highlight of this Hertfordshire venue that offers 211 luxury, 5* rooms in a classic, 18th century house. This superb hotel provides 36 comfortable en-suite guest rooms, a relaxing bar and lounge, a snooker room, and a great restaurant which looks out over Thorpeness Golf Club, which was designed by the legendary James Braid. Set in stunning countryside, just 20 miles from London, this Essex venues offers excellent accommodation with access to the onsite 18-hole golf course. 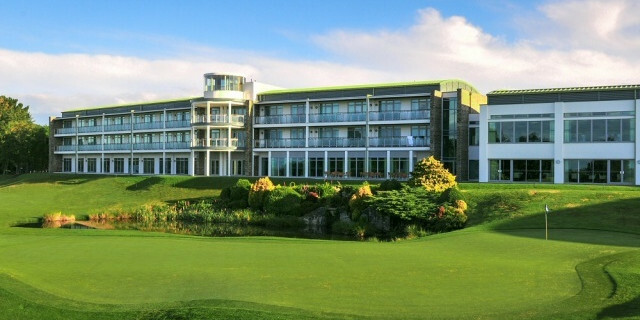 Located above St Andrews Bay overlooking the spiritual Home of Golf, Fairmont St Andrews is a luxurious and acclaimed resort, including superb hospitality and facilities, including an award-winning spa and two excellent golf courses, all within a few miles of the most iconic town in the game. This Surrey hotel is a beautifully welcoming creation, offering 70 individually appointed rooms within a Victorian mansion, providing the perfect addition to the venue's renowned golf courses. 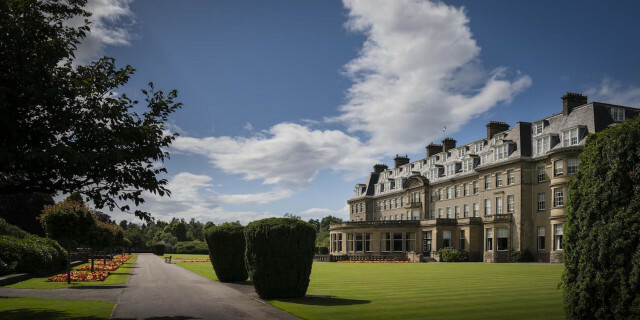 Popular hotel in County Durham that boasts 61 luxury bedrooms alongside the championship course, which is reputed to be the longest in the UK. 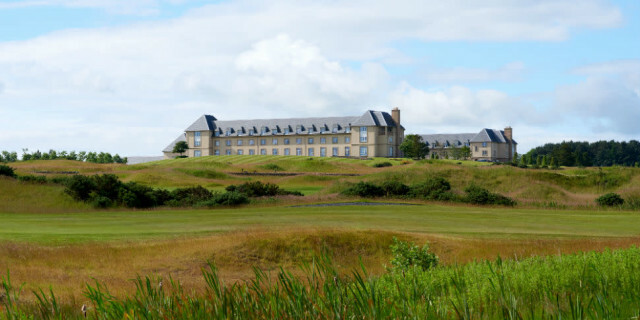 Only a short drive from Belfast, the hotel is situated within picturesque grounds and provides comfortable accommodation, with a challenging golf course onsite, and is only 40 minutes away from Open Championship venue Royal Portrush.